How wonderful to start your day off thinking of all the things that are good in your life. Here are my Reasons To Be Cheerful for this week hosted by the lovely Michelle from Mummy From The Heart. Please click the badge above to be taken to her blog and join in. 1. I was pretty gutted the other day when i noticed I had lost a follower but I'm really happy this morning to see that I have gained 2! I know it'll happen but that doesn't mean you don't feel a bit pants when someone isn't into your blog anymore. 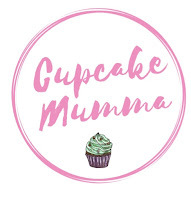 Hello new follows, hope Cupcake Mumma doesn't disappoint. 2. I have a couple of lovely items to review recently. I did my first review the other week which seemed to go down well and I have another 2 to do. Reviews for me will be few and far between but I enjoy doing them which makes me happy. 3. I had my bouquet and wedding shoes arrive on the same day. Excitement overload much? My new shoes are very pretty, and my bouquet is gorgeous. Some things are still in the air which makes you a bit jittery but overall I feel quite happy about everything. 4. Other Half has been made permanent at work. He has also got his moped and passed his CBT so now he leaves later and gets home a tiny bit earlier which is always nice! 5. Finally, Little Man is really trying to hold his own with standing up and walking. Making me very proud! With these job economies all around the world I'm always so happy to hear when anyone gets more job security! Great reasons to be cheerful! Thanks Juia that means a lot! Fabulous news about your other halfs job! ad the followers thing still makes my heart flutter too! I have leanred it really is not personal though.